A JDJ team member since 2006, Elana is a Senior Manager and leads JDJ’s Lifestyle Services team. Elana is JDJ’s in-house insurance expert, assessing clients’ complex risk management and insurance needs. She provides review and oversight of property, casualty, and liability insurance for JDJ clients to ensure they have appropriate coverage. Elana also works closely with clients and advisors to deliver a broad range of lifestyle management services, including residential and rental property management, construction project administration, hiring and oversight of domestic staff, private travel research, collectibles management and special project management. Clients rely on Elana’s varied and extensive insurance knowledge and lifestyle management experience and seek out her expertise in almost any situation. Prior to JDJ, Elana was a manager in the Rothstein Kass Family Office Group, where she provided concierge and lifestyle management services to ultra-high net worth individuals. Previously, she was a lifestyle management associate at JDJ Resources, providing concierge services to high net worth families. Elana began her career in the marketing department of Trinity Repertory Company. Elana holds a Bachelor of Arts degree in Humanities with a minor in Music from Providence College. In 2017, Elana was awarded a Certified Advisor of Personal Insurance (CAPI) designation from the Aresty Institute of Executive Education at the Wharton School of the University of Pennsylvania and Chubb. Elana earned the prestigious CAPI designation after completing an intensive educational program focused on understanding the risk management and insurance needs of affluent families. Created by Wharton and Chubb, the CAPI program is the first of its kind to focus on a specific client segment in the personal insurance marketplace. 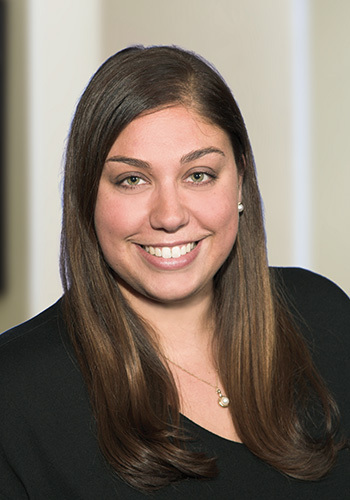 Elana is also a member of the Boston Estate Planning Council.